July 15: What's Jen Clicking on Between Newscasts? It is the first time a Junior Lifeguard has been killed during training since the Huntington Beach Junior Lifeguard Program began in 1964. But tragedy struck yesterday afternoon as an 11-year old girl, Alyssa Squirrell of Laguna Hills, was apparently hit by a lifeguard boat during a training exercise in the surfline. She died in surgery two hours later. "Someone mentioned that the one driving the boat was very experienced and had helped save many lives in past rescues. I'm guessing that in addition to that some who have been through the program or perhaps many have been able to put what they have used into practice to save others, as well as practicing water safety that has kept them safe as well. Kids as young as 11 are engaged in water sports and some are injured or drowned. How many have not been injured or drowned because of what they have learned in the jr lifeguard programs? We probably will never know, but I bet there may be many in that category." "As a Junior Guard for 8 years (I started at the age of 9), a member of the Huntington Beach Junior Guard New Zealand Team and an ex HB Lifeguard of 3 years I feel like I should give my 2 cents. I have worked alongside all the guards that were involved in the accident and I am willing to bet my life that the boat pilot, whom I personally have had the pleasure of working with is the best in the world at what he does. Also the Junior Lifeguard program is incredible and they take so many precautions with everything that the accident was one in a billion." This is, in fact, unprecedented in the Jr Lifeguards program, and can only be characterized as a freak accident. Kids all up and down the coast of California do it every year -- the "Junior Baywatch" on the beach is a sure sign that school is out for the summer. I found this YouTube video from last year's Huntington Beach crew, of one of the long standing Jr Lifeguard traditions -- a rite of passage, of sorts, for "Captains" in the program to jump off the pier. It's not just for dares and giggles ... this is how lifeguards often get out to a struggling swimmer quickly, by running down the pier and launching from there. "...I did some research. Since 1964; 22 kids under the age of 12 in Orange County died on Ball fields/17 kids under 12 in Santa Ana died on bicycles/ 5 kids under 12 in Riverside died Horseback riding/ 71 kids under 12 drowned in Irvine in swimming pools." "Come on. Isn't 11 years old too young for this lifeguard stuff? Maybe they should rethink the age requirement for the program. They don't have junior firefighters or junior cops at 11 years old, do they? Why junior lifeguards? Let the kids grow up a little bit before you start training them to be rescuers. For gawd sakes! This little girl and her family are in my prayers tonight. Poor kid. My stomach feels sick. What a tragedy. I sure wouldn't want to be that boat pilot. Wow. I wish people would come to their senses and let kids grow up before you start molding them into heroes." 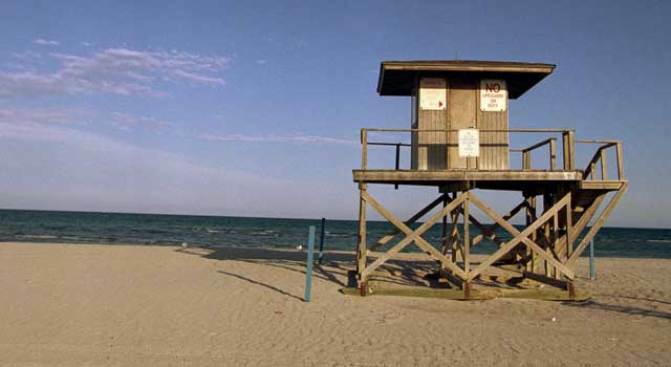 "...the number one goal of the Junior Lifeguard program is to teach young kids water/ocean safety. The majority of the kids will not become lifeguards. But all the kids will have a better understanding of the ocean hazards and know how to deal with them when they are encountered. Of course they get to learn some of what the lifeguards do. But they are not training the kids to be lifeguards. It is an awesome program. Speed drops was one of the things I always looked forward to when I was a JG." It was during one of these "speed drops" that the accident happened. Lifeguards boats buzz out to rescue people and drop a lifeguard overboard to make the rescue. Yesterday, the 11and 12 year olds were being dropped, one by one, off the boat with two instructors in the boat and one in the water. Somehow, when the boat circled around to pick them up, Alyssa was separated from the string of kids in choppy water and got caught by the propeller. "My daughter is a Junior Lifeguard. We are heart broken. This could have been any of our kids. It was freak accident with a capital "A". Guards just had a spectacular bbq and pier swim this week. Familys were aglow with pride for their kids accomplishment. My daughter did drops last week and loved it. Now this. My heart is with the family and the boat driver. My prayers are for peace. But for now I mourn, we lost one our own today." See what else Jen is clicking on.